There is a common Western perception of Chinatown. You may imagine paifang gateways and golden lions, plumes of aromatic spices, steamed dumplings and suckling meats. It is thought by many to be an ethnic enclave, providing space for an authentic expression of Chinese culture. As a result of its economic growth, China’s global image is transforming as they become more linked to other cultures. We still look to Chinatown for opportunities to interact with an imagined and romanticised version of Chinese culture. 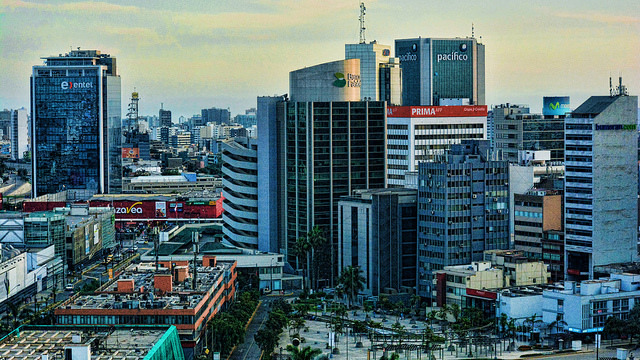 It is a place that is seemingly suspended in time when compared to the current expansion in the use of steel, glass, concrete and electronics accompanying the rising living standards in the nation it is set to represent. This suspension is maintained in order to attract tourists but also reflects a sense of stagnation. This fear of Chinese food, however, was intermingled with a burning curiosity—it’s clear that people were affected by a certain sense of Orientalism, as Edward Said would put it. After the Chinese Exclusion Act was passed by United States President Chester A. Arthur in 1882, Chinese Americans were forced into self-employment to make more jobs available for American citizens. As a result, two industries presented themselves to the now marginalized Chinese American community: laundries and restaurants. It was at this point that Chinese immigrants began modifying their authentic dishes to better please the Western palate. This began a long tradition of cultural appropriation. We set out to perform a field study of Amsterdam’s Chinatown to attempt to answer the following questions: is the cuisine authentic, and if so, who are the main consumers? If not, is that damaging to the popular perception of Chinese culture? The first thing that stands out about Chinatown in Amsterdam is the awkward aesthetic. You will only find the smells and tastes amongst gestural Chinese street names, token ornate facades and a single Buddhist temple. All of the stores and restaurants, we are told, are decorated with items from one of only two suppliers for the city. The cultural and economic flows of people, food and tradition are not centred around an established community. Rather, this district represents the contorted and commodified form of ‘ethnic dining’ that has established itself in Amsterdam. Concentration of restaurant street signs amongst themed facades. 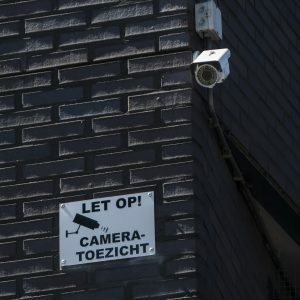 Zeedijk is the only area of Amsterdam with its street signs in both Dutch and the language of another culture. The neighbourhood is referred to as “Zeedijk,” or in English, “sea dyke,” and comprises the northern and eastern boundaries of the red light district. After the establishment of the Chinese neighbourhood in this area, ‘Zeedijk’ was given a transliteration as ‘ShanDe’ which means ‘Good morals’ in Chinese. For many decades the area was overrun with drug addicts and was thought of as a hotbed for crime. The owner of Wing Kee stated that “the police wouldn’t even patrol the streets during that time.” Since the 1980’s there has been a revitalization effort to clean up the streets and reduce crime. 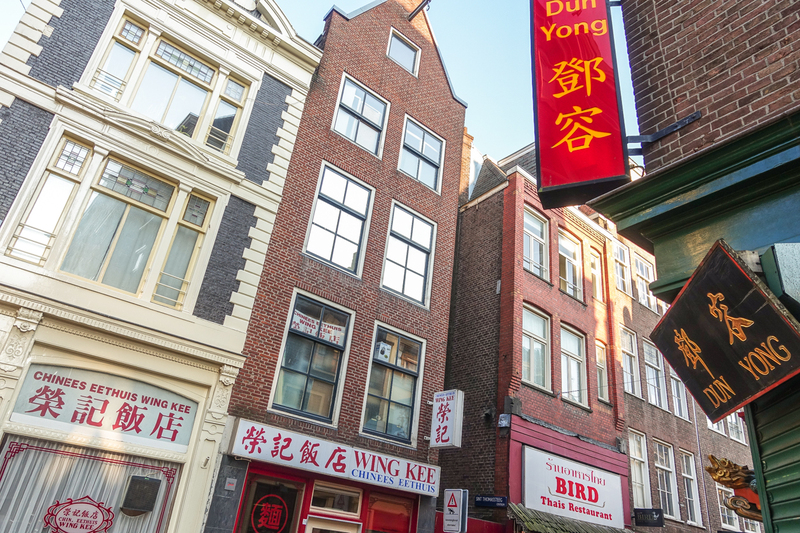 The Chinese community were some of the first entrepreneurs to see opportunity in the low-rent district bordering the red light district. By being there first, they have been able to enjoy the benefits of an increasingly pleasant and profitable trade, investing and expanding their businesses beyond eateries. 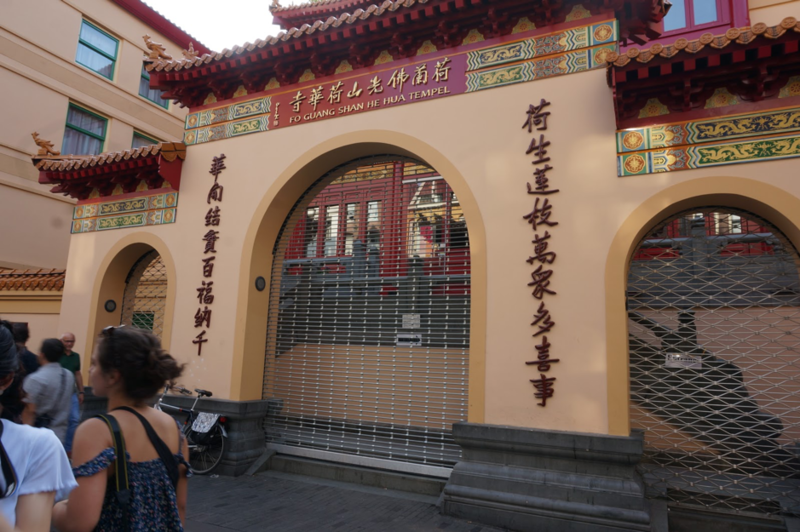 In the heart of Amsterdam, the Zeedijk boasts a real Buddhist temple. 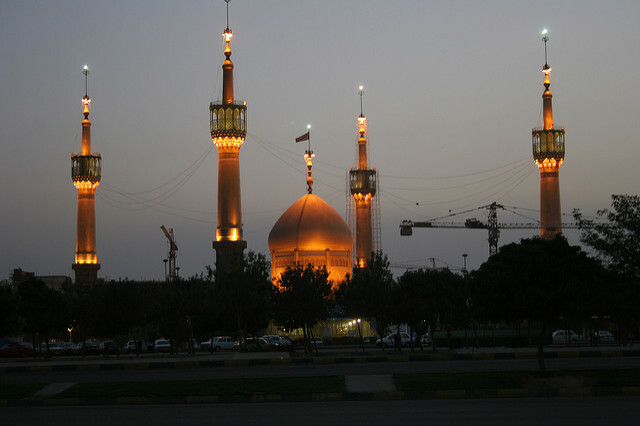 Special roof tiles and traditional ornamentation for the temple were flown in straight from China. The Buddhist temple serves as a meditation centre. Organised services, guided tours are courses are also offered here. Implementation of Project 1012 – a development scheme for the district set out by the municipality of Amsterdam to provide new attractive stores, eateries, public space while reducing crime. We attribute the noticeable intermingling of Chinese food with other Asian cuisines to this phenomenon of a non-centralized Chinese immigrant community. The emergence of fusion dishes also indicates the popularity of these other Asian cuisines in China, as a result of globalization. On the one hand, it reflects the openness and inclusive properties of Chinese food culture. On the other hand, the fusion dishes break the boundaries of Chinese taste and may redefine authentic Chinese food in the future. This brings us to our final research questions: what are the consequences of literally consuming another culture, if that culture is contrived? And why do we feel compelled to consume other cultures in the first place? It is the phenomenon of the modern industrialized world, one can find traces of commercial versions of Chinese food in almost every major city. 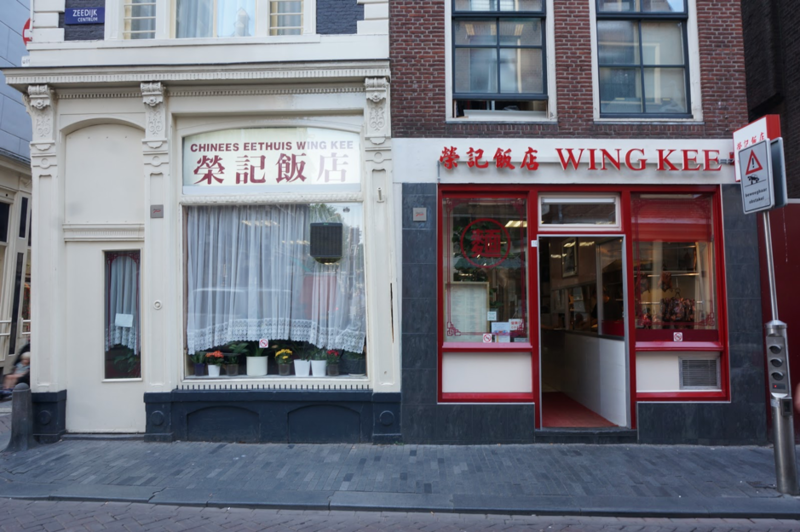 However, we were very surprised when the owner of Wing Kee restaurant told us that in the Netherlands and in Holland, citizens enjoy legitimately authentic Chinese food. All of the other countries he’s visited have Chinatowns that fall into that same Western appropriation trap. He claimed that in the Netherlands and in Holland, he can easily find authentic Cantonese cuisine. Most Westerners are thrown off by authentic Chinese cuisine because the dishes are sometimes slimy, grizzly, cartilaginous, or tough and chewy. We hypothesize that the individuals that live in these regions are already acclimated to these strange consistencies and textures because of the established national cuisines, which rely heavily on the use of slimy little fishes, jellies, fatty meats, and sauerkrauts. 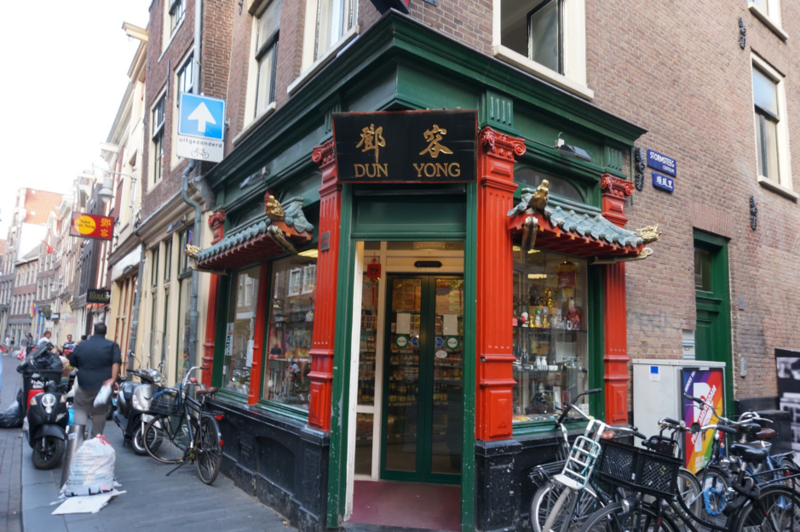 Yang Liu also shared with us that, though surprising, the majority of her customers are not from the Asian immigrant communities living in Amsterdam (despite stocking a fair amount of grocery items from Japan and Korea), but actually Dutch people interested in cooking authentic Chinese recipes. Many customers will come in with a recipe list, unsure of what a certain item is, and she can then show them the product and help them learn more about the actual cuisine, pushing the discourse out of the voyeuristic territory of exotic fetish and into legitimate interaction and study of a foreign culture. Wing Kee restaurant that also maintains an authentic Cantonese style in decoration and promotes Cantonese speciality suckling duck. On the other hand, the owner of Wing Kee is more proud of the high amount of Chinese customers he caters to on a regular basis. He even has a framed picture on the wall of him and Jackie Chan, from when Chan visited the restaurant while on vacation. The owner likes to point out the strictly Cantonese recipes on the menu, indicating these as his personal favourites, but there is a fair amount of food on the menu that one might consider to be low-hanging fruit for Westerners unused to the peculiarities of Cantonese cuisine. He told us that when his friends ask him to teach them about his cuisine, he’s always happy and willing to, but he doesn’t extend this spirit into his workplace. The owner is not focused on educating people about his country, but he seems even prouder of where he comes from because of the universality of the flavours he serves. Despite the fact that some of his dishes are inauthentic, what is authentic is his desire to please palates from all corners of the world, and his willingness to adapt. Immigration is a long-term investment, and surely the move to Amsterdam’s two-block-long Chinatown was a huge risk for his family. It is clear that his sense of identity is not lost through his desire to cater to Westerners who want to consume a diluted version of his home cuisine. If anything, it is strengthened through the continued support from tourists and his regular customers, to serve the food that provides him with comfort through nostalgia. Chinatown, as we know it, is authentically inauthentic. Joseph Kiff is currently studying for an MSc in International Development at the University of Amsterdam. Jessica Merliss is part-time editor in chief of dish rag magazine and part-time student at NYU pursuing dual master's degrees in food studies and library science. Kexin Hu is studying Urban Planning at the University of Queensland, Australia.